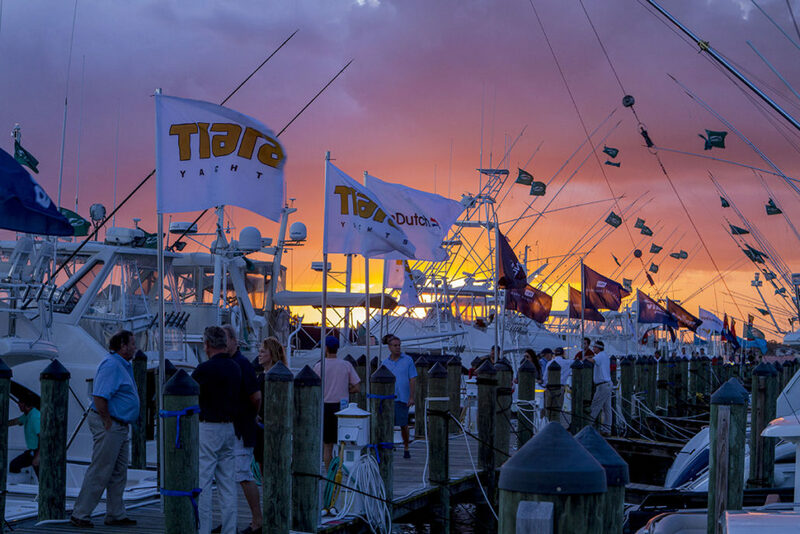 STUART — Judging from the crowds at the 42nd annual Stuart Boat Show on Saturday, the boating lifestyle appears to be very much alive and well. What’s more, it appears to have a very bright 2016 ahead. With the gloomy, gray skies of Friday in the rear-view mirror, boat dealers, marine business owners and boaters eagerly enjoyed mild temperatures and bright sunshine on what turned out to be a chamber of commerce weather day. Show-goers inspected a wide range of offerings from sellers, took in the free informative seminars and kids fishing clinics, and enjoyed food and drinks at the show’s new food court area. As for the attendance, AllSports Productions’ president Skip Allen was pretty pleased. “We killed it today,” Allen said Saturday afternoon. Michelle Miller, of the Marine Industries Association, the organization that hosts the boat show every year, said foot traffic through her booth and the north gate was very happy throughout the day and only began to lighten up within the final hour.